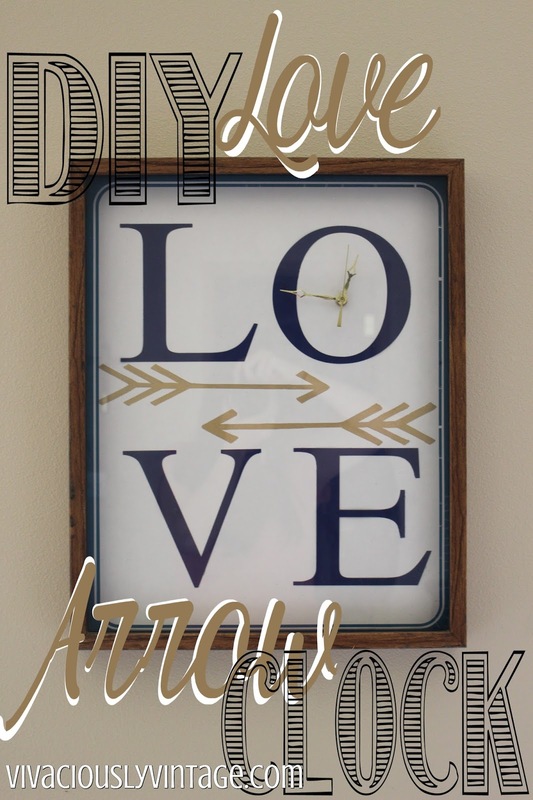 Ansley Designs: Because there's Always Time for LOVE - DIY Arrow clock! 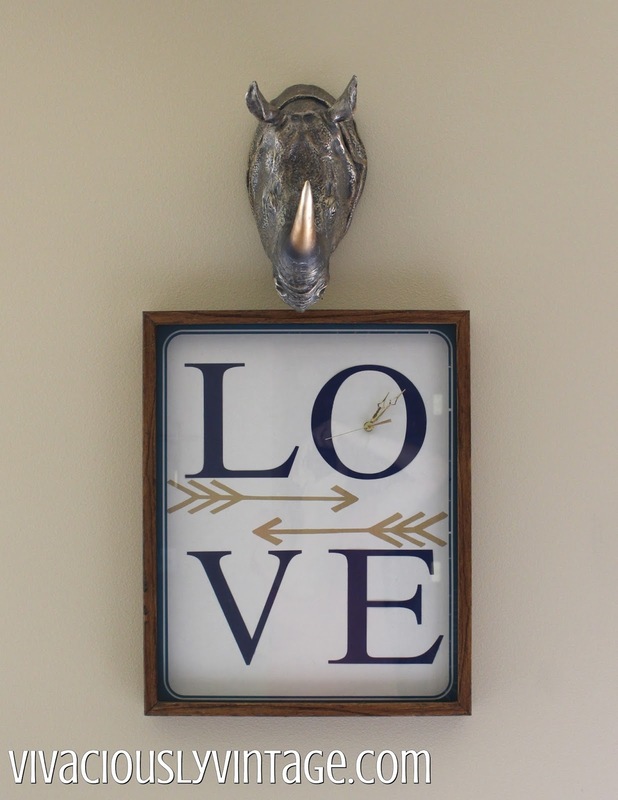 Because there's Always Time for LOVE - DIY Arrow clock! I'm so proud of this clock! I picked this ugly thing up at Goodwill, and at only $1.29 I had a vision for it. The concept was cool, and I didn't see why I couldn't just pop the back off and modernize it some. I've seen a ton of these at thrift stores...so if you like the idea, keep your eyes peeled! After removing the back (it was stapled on), I took out the clock mechanism that - of course - didn't work. First, I tried just painting the background...but it was taking forever and not working well. So, I switched to poster board and attached it with spray adhesive for the new white background I wanted. Then I used my silhouette machine to cut out the letters. The font is called David. Again I used poster board. I was planning on card stock..but when I went to the dollar tree to get my white 50 cent poster board; they also had it in navy for only .69. So, I just cut that to the size of regular paper and used it in my silhouette cameo. I punched the hole through the front where the old clock mechanism was, so I could use that as a guide when placing my letters. I spaced them how I wanted, leaving room in between for the arrows. Again with the silhouette, I cut out an arrow shape that I liked and just used it as a stencil with a gold paint pen. I double checked the positioning of the letters and glued them down with a small amount of hot glue. I followed the directions for adding the new clock mechanism that I picked up at Joann's; with the coupon it ran me about $9. Sadly, the frame is cheap, fake wood...but I was diggin' the wood with my design. I touched up the imperfections with a stain pen. It's not perfect, but they blend in with the fake wood grain. ;) Then, I just fit the back into the frame and secured it with a small nail on the top and bottom. My vision didn't work out EXACTLY as I planned, and I am disappointed it didn't - but I'm in love regardless! When I took it apart and was trying to clean the gunk off of it....the numbers on the inside of the glass started coming off! It was too late before I realized what was happening. Half of the 6 was gone and most of the 9, among other casualties. I tried to fix it with a paint marker, but as you can see below it looked like crap. :( So, it's a numberless clock. I'm happy to FINALLY have a working clock in our bedroom...especially one as fabulous as this! I honestly think this is the first project that I've ever done for our master bedroom! Isn't that sad? I hope to finish another project in the next week or two that will have a drastic impact! 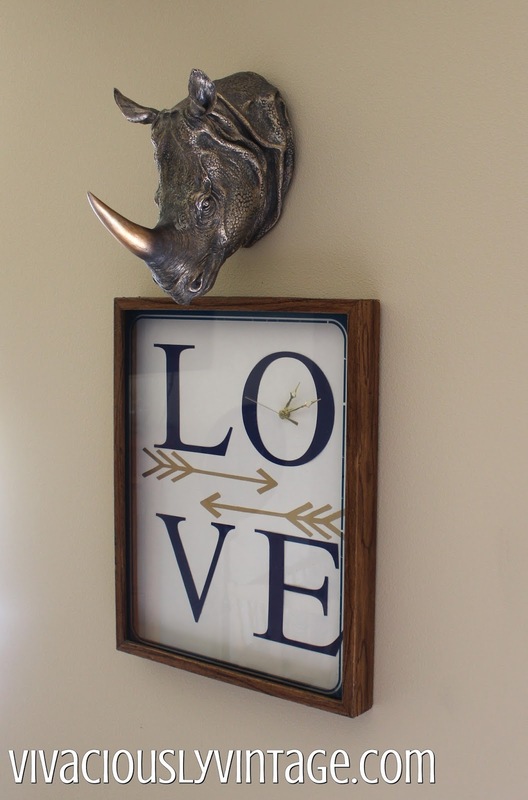 And I found a home for the rhino head that I picked up at TJ Maxx forever ago. It's seriously been sitting on the floor on my side of the bed, still in the bag - I'd guess for 2+ months! 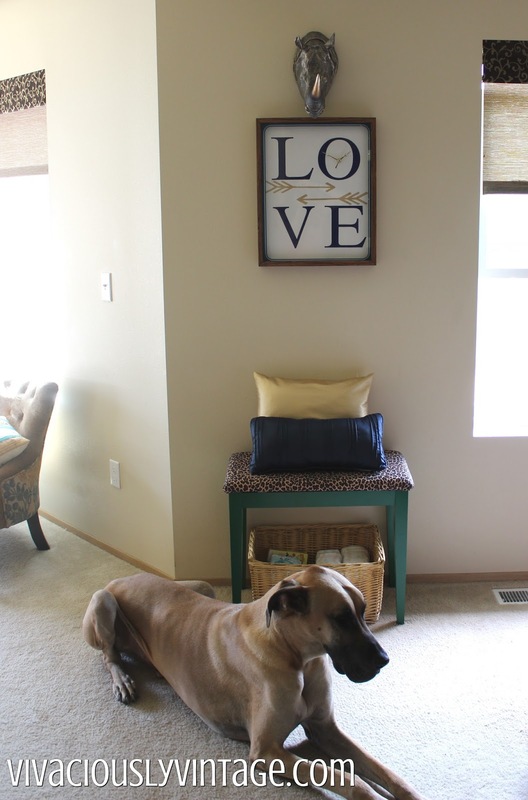 GREAT upcycle of an originally hideous clock. I would have just felt sorry for that clock and walked on by it but you have such a great eye for design. 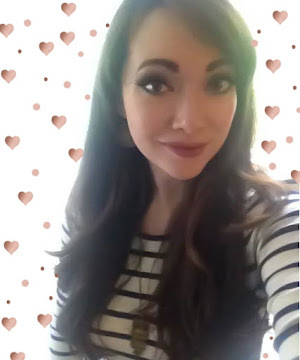 Fabulous! Thank you! I even found another $1.29 one at Goodwill yesterday....just about half the size. 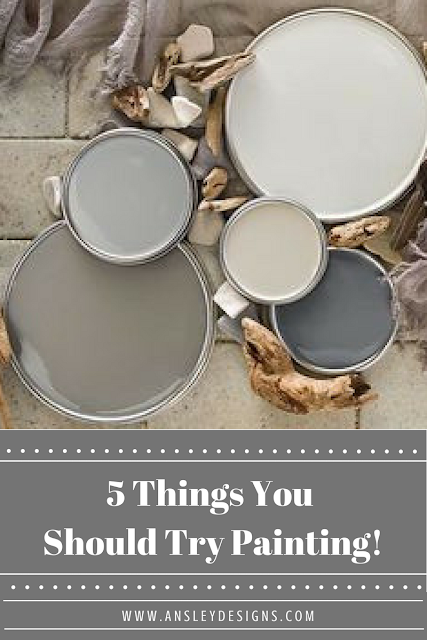 I think it'll be perfect to redo for the nursery! Wow, you did an awesome job! Love your new clock - featuring you at our party this morning!